With an inexorable growth of global population and consumption needs, the world of waste disposal is an immediate, growing concern. 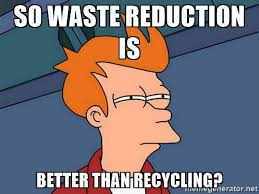 That is why, in recent decades, an increased incentive in better infrastructure for waste disposal sites, as well as better waste management in pickup and disposal, is leading better technology like IoT systems in waste management to pave the way for more efficient solutions. As each year passes, it seems like a decade of new and innovative technology is on our doorstep to make life easier and more convenient. IoT waste software is no different, but the reality is waste management pickup, and disposal is still outdated compared to similar systems making that make our life easier. However, the necessity of IoT devices and AI to ease our daily lives but also to improve efficiency. IoT software in waste management includes developing systems to improve routes for pickup, measurement of an exact total waste collection in weight and volume, as well as the future of separation of various materials for reusing and recycling. 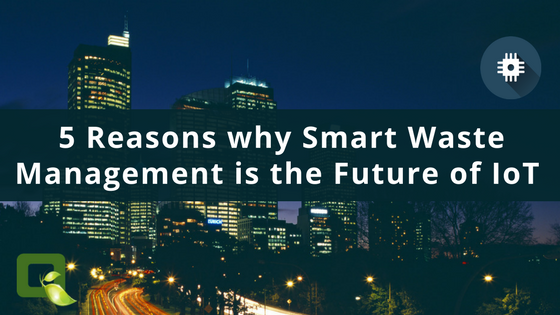 So why is efficiency so important for a smarter waste management systems? The easy answer is cost and expenses. Private companies, city municipalities, as well as the average citizen would not mainly look at convenience, but rather the bottom line as a dominant deciding factor to implement smarter systems for waste management and disposal. IoT sensors thus provide a win-win solution for improved optimization to reduce costs in labor, time, and fuel costs by rerouting trucks and letting the end user view in real-time how data is tracked, collected, and stored for analysis. It may be hard to swallow, but the world population is currently growing at about 1.11% a year – or in numbers, that’s about 80 million people. With a global population heading to inexplicable numbers, it is also hard to grasp the direct correlation of our higher consumption needs, which directly leads to a higher generation of waste. Smarter waste management, including IoT systems, utilizes technology to take the concern out of our waste disposal by first generating data on how much waste we produce and collect initially, and then using this data and implementing more efficient ways to reduce waste in the future via separation and recycling. Also, waste is not a thing that simply disappears from our planet the moment it is taken from our curbside, waste and the materials comprising it use vital and unrenewable land resources that question the unfortunate rule of “out-of-sight-out-of-mind,” or NIMBY (not in my backyard) syndrome. This syndrome, or contagious reality, leads to neglection, and/or over the emission of GHGs, and poorly handled waste disposal whether we like it or not. That is why software, developed with waste management in mind, is crucial in preventing GHGs, as well as contamination and leakage of potable groundwater. Smart city waste collection is not only a dream for those collecting the waste, but also for the residents living with the waste who hope to be rid of their smelly, dirty garbage as soon as possible. The prospective future is full of opportunities to create a greener and smarter city, leading to a cleaner planet. The 3 R’s, or Reduce, Reuse, and Recycle, does not have to be an idealistic mantra for policy makers concerning waste because the solution is available even today with IoT technology, and it’s only getting better.